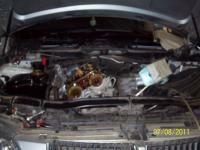 PRO TECH AUTO has been opperating for 14yrs. 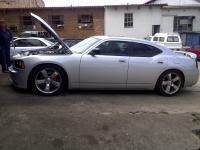 We provide quality auto repairs and services on the South Coast to all makes of Vehicles. Our clientel trace from the Eastern Cape right through the whole of the South Coast up to Guateng. We specialise in Petrol & Diesel. Modifications and Upgrades are the fun work between all the repairs and services at Pro Tech Auto. 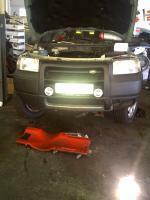 From 4x4s, SUVs, Bakkies, passenger and light comercial , you name it - WE FIX IT. Engines, Diffs and Gearbox overhauls , are all part of a days work at Pro Tech Auto. Known as the Landrover specialist on the South Coast , we provide the south coasters the oppertunity to have their car repaired on the coast with out having to travel through to Durban. 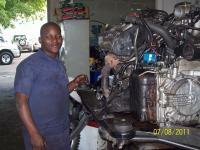 Pro Tech Auto does Fleet Maintenance and Service for various companys. Each company is assesed individualy and a special package it put together to suit their specific company's needs. We also do diagnostics , we have the latest technology in fault finding , which would cut down your labour time emensly, saving us time and you money.